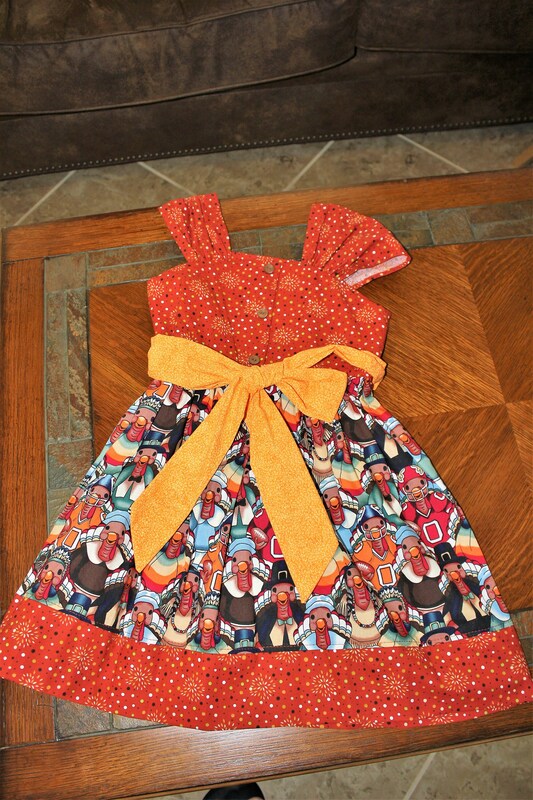 Girls Thanksgiving Outfit is perfect for your infant or toddler for all of those Fall, Thanksgiving party's. 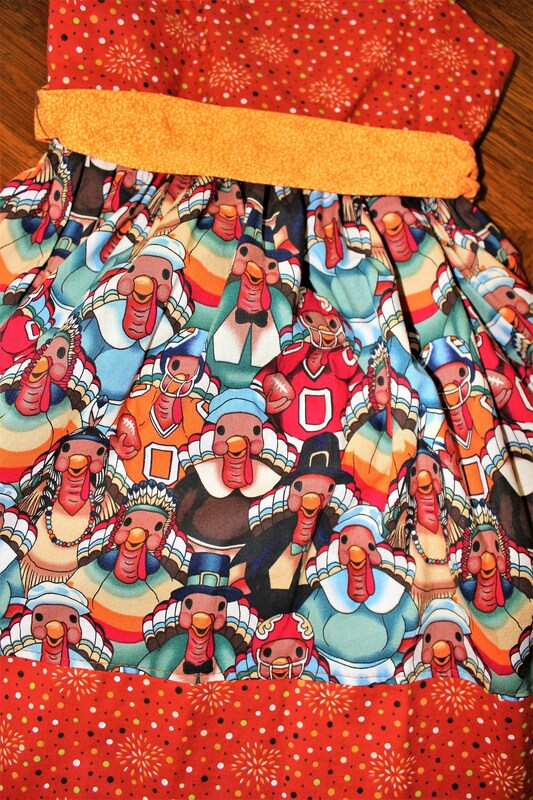 The fabric has Turkeys and turkeys with football helmets making it great watching football games. Dress is made Handmade is my Smoke Free sewing studio,each dress is stitched with fine attention to detail to give it a professional look. 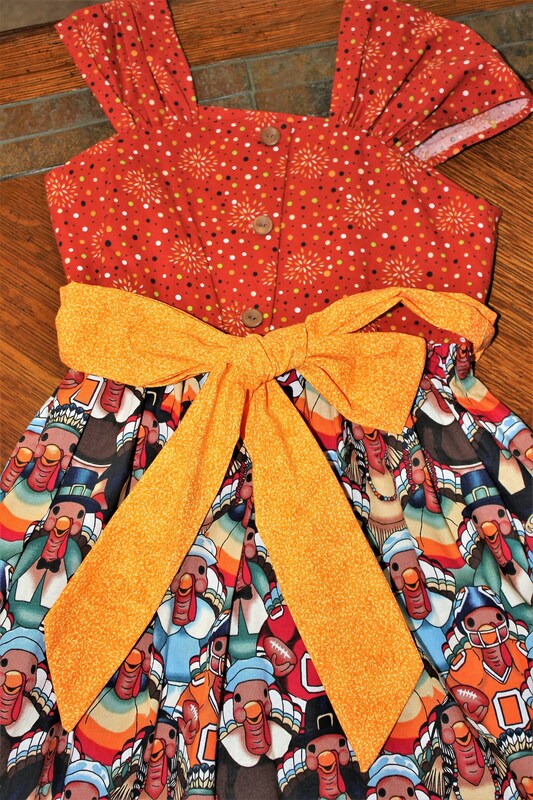 Your dress has a full skirt great for twirling, bodice buttons up the back and has short capped sleeves The dress is finished off with a beautiful sash that ties in the back or front. 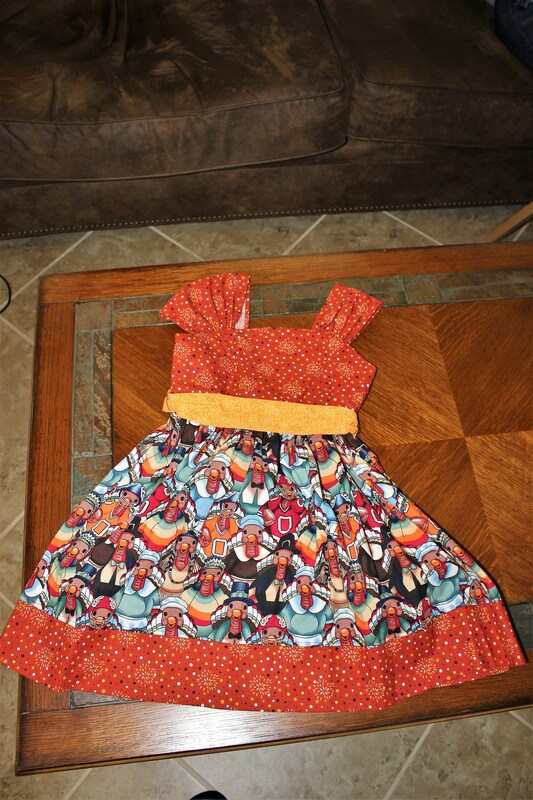 All fabrics have been machine washed and tumble dried before constructing garment. Machine wash in cold and tumble dry may need slight pressing.